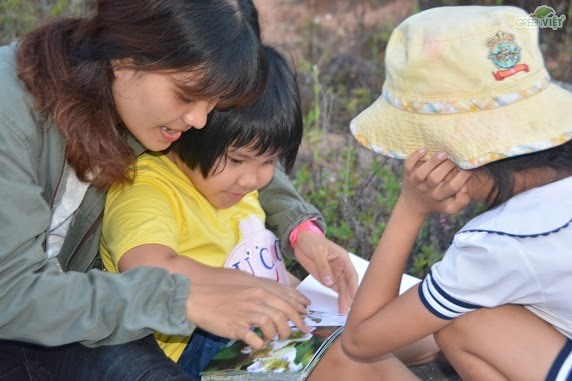 The Centre of Biodiversity Conservation and GreenViet plan to offer free nature lessons at the Nature Education and Experience Centre and field trips to the Sơn Trà Nature Reserve for disabled children in 2019. Director of the GreenViet-owned Nature Education and Experience Centre, Nguyễn Hoàng Chương, said the programme was part of an agreement with the city’s education and training department to help rehabilitate disabled children. Chương said each trip would involve groups of 40 children with different disabilities including depression, hyperactivity and autism from junior secondary and primary schools in the districts of Hòa Vang, Thanh Khê and Liên Chiểu. He said the children would have the chance to explore the reserve while developing skills such as making eye contact, communication and teamwork. Chương said the children would be able to see red-shanked douc langurs, an endangered primate species, during the field trips. A group of disabled kids take part in a field trip to the Sơn Trà Nature Reserve in Đà Nẵng. The trips are helping kids rehabilitate both mentally and physically. Last year, nearly 300 disabled children from the city visited the reserve as part of the programme. The Nature Education and Experience Centre is the only one offering free education and nature experiences for school and university students in the city. GreenViet plans to offer free nature education and environmental and wildlife protection programmes for more than 3,000 students and 500 disabled children at the centre in 2019. The centre, which is close to the Sơn Trà Nature Reserve, also hosts field trips into the jungle for students and nature lovers including wildlife studies, painting contests, clean-ups and planting trees on the peninsula. 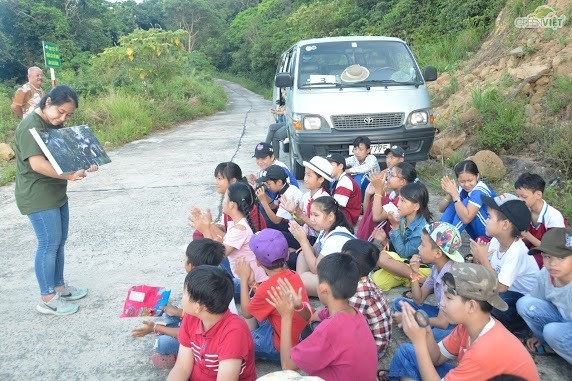 More than 25,000 school students and 3,000 local residents took part nature education activities in the reserve between 2012 and 2017, while 300 teachers from junior secondary schools in the city participated in nature and wildlife protection activities at the reserve in 2018.